ALEXANDER COUNTY – FireNews.net has learned that an 18-year-old firefighter with Bethlehem Community Fire Rescue died Wednesday evening after suffering injuries in a collision in Alexander County, southwest of Taylorsville. Bethlehem Community Fire Rescue is Alexander County Station 32. Firefighter Caleb Robert Benfield of Taylorsville died from injuries sustained in a motorcycle collision. The crash happened within view of the fire station. Firefighter Benfield had been working during the morning performing fire prevention activities with his department and was returning to the station to participate in additional fire prevention demonstrations for the local elementary school. He went home for lunch, but never made it back to the station. Investigators say Benfield was driving on Highway 127 just after 13:00 hours when he wrecked his motorcycle. Some of his fellow firefighters responded to the wreck. CISD teams responded to assist the fire department. Benfield died Wednesday night following surgery at Carolinas Medical Center. Caleb joined the department in 2001 as a Junior Member. 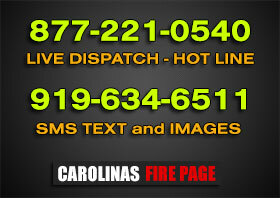 Alexander County departments are assisting Bethlehem Fire during their time of need. The funeral will be Sunday, October 14 at 14:00 hours at Tri-City Baptist Church in Conover, North Carolina. The procession will begin at 15:00 hours, and proceed from Tri-City to Middle Cross Baptist Church Cemetary, 2305 Rock Creek Road, North Wilkesboro, North Carolina. The family will receive friends following the burial at Middle Cross Baptist Church. In lieu of flowers, memorial may be sent to the Alexander Sheriff’s Explorers or Bethlehem Fire Rescue, 7373 Hwy 127 North, Taylorsville, NC. Pallbears will be Officers from Bethlehem Fire Rescue. Honorary pallbears will be the firefighters and the Alexander County Sheriff’s Department and Alexander County Sheriff’s Department Explorers. Condolences may be sent to the family at www.drumfuneralhome.com.